Horror, like comedy, is very hard to get right. I mean, of all of the horror films you see out there right now, how many are actually scary? Not many, right? That’s mainly due to bad writing, silly concepts, and shabby acting. There’s also a serious lack of imagination going on as far as plotlines/narratives go as well. 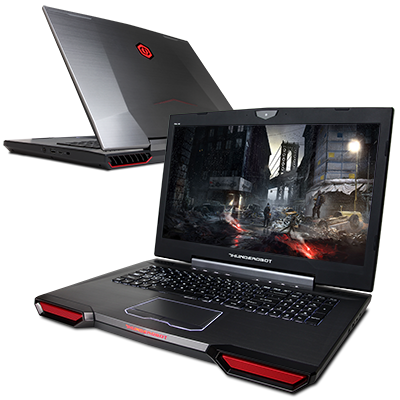 When it comes to the digital realm, the same can be said for survival horror video games. Just as with film, most horror games don’t have the most original or unique premises. The vast majority of these games feature you, the player, starting off with little (if anything) in the way of supplies, in some isolated area. 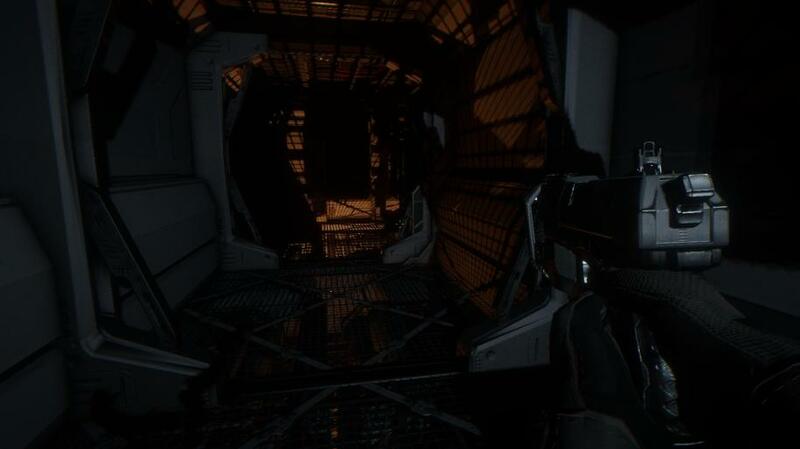 From there, you have to explore the decrepit mansion/spaceship/asylum, all the while being stalked by some evil baddies. This isn’t to say that these games aren’t effective at what they do. Alien: Isolation was a game that I pretty much assumed I knew the plotline to, as well as what the main antagonist (the alien of course) all about, before I even played it. However, it was so soaked with dread and a chilling atmosphere that it didn’t matter whether I had seen similar content before. That game was so frightening that I remember reaching the first storage closet (where you save your games) and just sort of said to myself: “Yeah, I think I’m just going to stay in here for a while.” That “while” turned into forever—I just couldn’t play the game any further past that first thirty or so minutes. “There’s nothing new under the sun” is a proverb that certainly holds weight here. 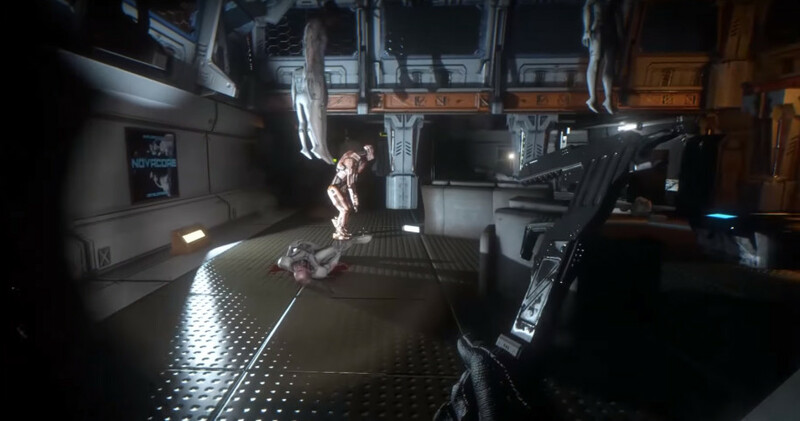 Alien: Isolation merely capitalized on a well-worn set of survival horror video game tropes that have been beaten to death. System Shock was one of the first games to lay the groundwork for the genre, putting the player on board a seemingly abandoned space station, where they must figure out what happened to the crew, as well as deal with a nasty little AI entity. Then there was the Deadspace series. 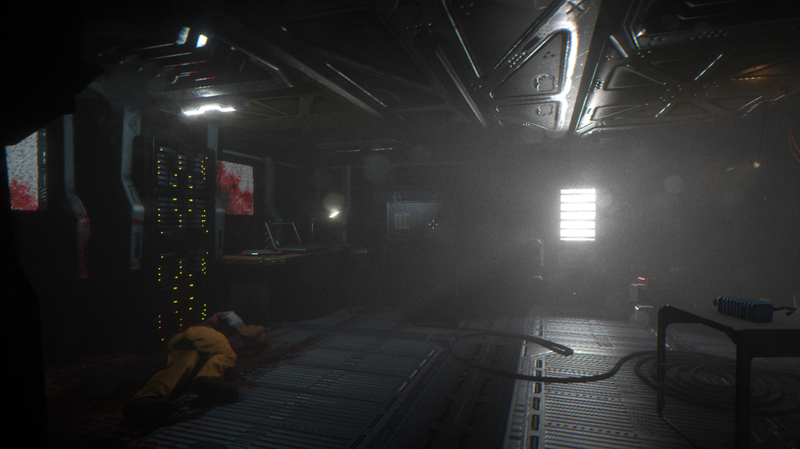 Those games usually evoked the same hackneyed horror tropes—the abandoned space station, eerie noises, found corpses, etc. and although I had “been there, done that” as far as their content was concerned, they were still effectively horrifying experiences (well, at least the first two games were). Indie game developers have a particularly hard time of it, since they are bereft of the large development and marketing budgets that the Triple-A companies have. That means that in order for them to stand out from the crowd they have to have something really special about them. Whether it’s a unique concept, more original antagonist(s), fascinating narrative, or what have you. If it’s just the same ‘ol, same ‘ol, the game will usually end up getting deleted and forgotten. Don’t tell that to indie developers Camel 101. 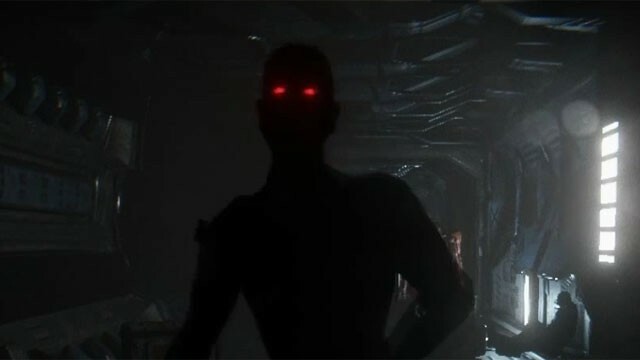 Their new survival horror project, Syndrome, pretty much contains all of the aforementioned horror tropes that we’re all used to by now. Yes, you start off emerging from a cryo-stasis capsule on board a space ship. Yes, you begin with pretty much nothing and have to stumble around in the dark at first. Yes, it starts dawning on you that something strange is afoot and that the ship’s crew is missing. And yes, you have to find out what happened to them while facing off against increasingly difficult creatures on board said ship. First off, I must say that there are a few glitches in this game, such as when I fell through the floor into oblivion a few times. There are pretty frequent save points though, so that’s a good thing. None of these glitches are game-breaking, but they are there. The controls also can’t be re-mapped, and there is no jump button, which means I did get stuck behind fallen objects once in a while and had to restart from my last save point. I’m not going to sit here and berate a fledgling indie game developer though, as there are plenty of Triple-A companies whom refuse to fix pretty major glitches within their games (looking at you – Left for Dead 2). One things for sure—Camel 101 certainly nailed the creepy atmosphere. The hissing pneumatic doors startled me on several occasions, and the minimalist synth tunes served to really ratchet up the tension as I crept around the forlorn space ship’s hallways. The flashing florescent lighting, eye-level mist, ink black corners, and flickering shadows also creeped me out. Syndrome is really oozing with dread and a sense that something bad can happen at any time. 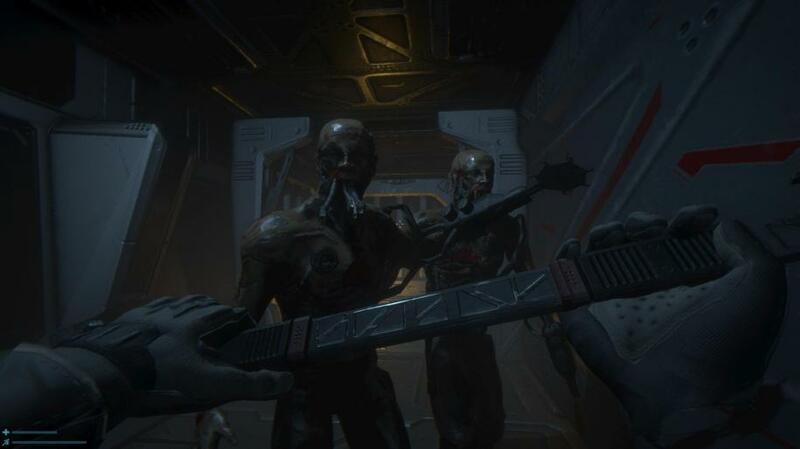 Syndrome also takes a departure from the usual survival horror games because unlike them, you can actually arm yourself with weapons. Similar to the early Resident Evil games though, ammo is scarce, so you can’t exactly saunter around the space ship blasting away at anything that moves like an amped up thirteen year-old kid. Learning when to blast and when to creep by enemies adds a welcome layer of strategy to the horrific proceedings. In all, Syndrome is a pretty scary science fiction fright-fest that is good for quite a few scares. There’s nothing particularly unique here, but what it does, it does well (scare your pants off). It’s a good horror-filler until Outlast 2 comes out.